For best results, the rider should wear classic cycling kit - including lycra shorts and a short sleeved or sleeveless top. Bike fitting is a very personal process and requires in-depth understanding of your cycling goals, experience and unique physical characteristics This includes any bio-mechanical restrictions or injuries. A relaxed rider consultation ensures this information is captured to best inform the fit process to follow. Every rider has different physiological characteristics which effect their contact points (bars, saddle and pedals) and the position which they are able to achieve. The physical assessment allows identification of the limitations of the rider, together with the appropriate support required to establish bio-mechanical stability when on the bike. The following processes are selected based on the type of fitting purchased. Depending on the requirement, either your own bike is mounted into a turbo trainer, or the fully adjustable Müve bike is utilised. This is dependent on whether you are seeking direct adjustment to your own bike or your fit measurements for purchasing a new bike. This will be discussed at the time of booking. The rider then mounts and adjustments are made to optimise the fit. As well as positional changes to the bike, components may also be swapped at this point from the wide range of stock including saddles, stems, bars and shoe support inserts. Upon completion, all measurements are recorded and a rider file is created including your personal profile, consultation notes, physical assessment, bike measurements and your final fit position. This is then stored on the Velocita Coaching server for future comparison and a report emailed to you. The rider then mounts and the ‘eyes’ of the Retül system, a duel harness of LED markers, are placed at eight anatomical points on the rider's body. 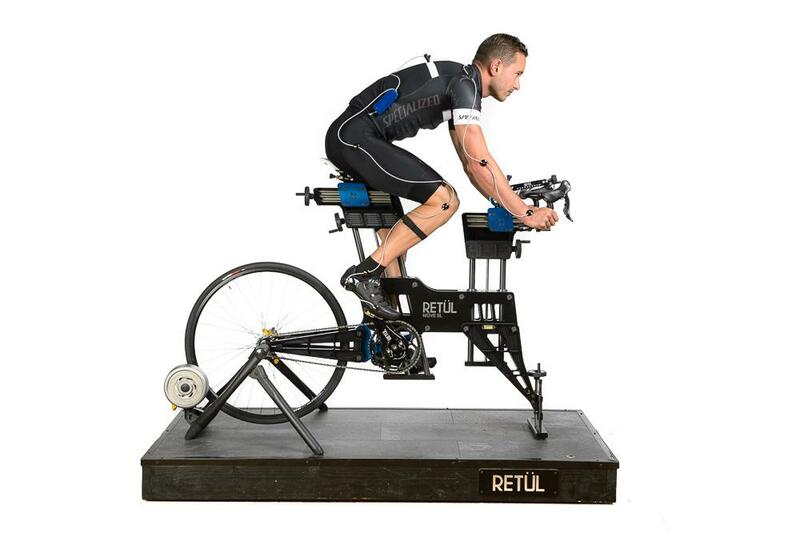 The Retül system is then activated and adjustments are made to optimise the fit. As well as positional changes to the bike, components may also be swapped at this point from the wide range of stock including saddles, stems, bars and shoe support inserts. The bike is then "Zinned”, using Retül's handheld digitizer the ‘Zin’ tool. This creates a millimetre accurate digital map of the complete bike including all the contact points. 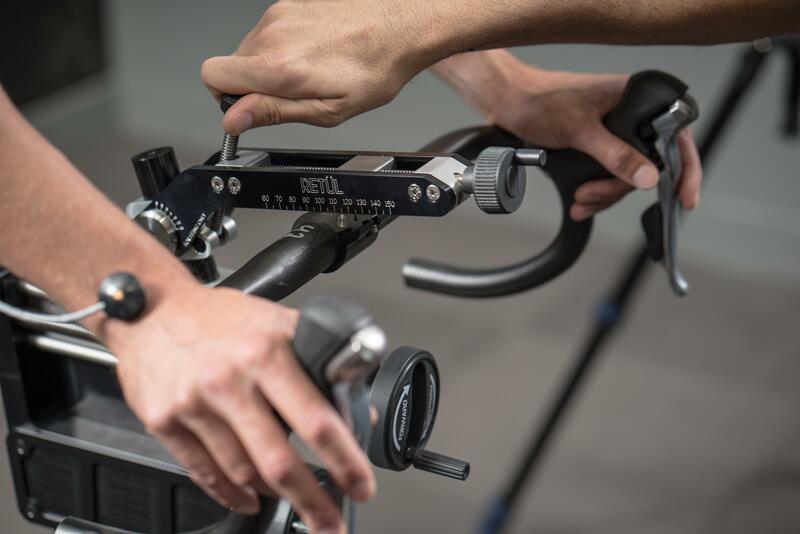 As part of Specialized, a Retül bike fitting allows access to Frame Finder, a powerful frame selection tool. 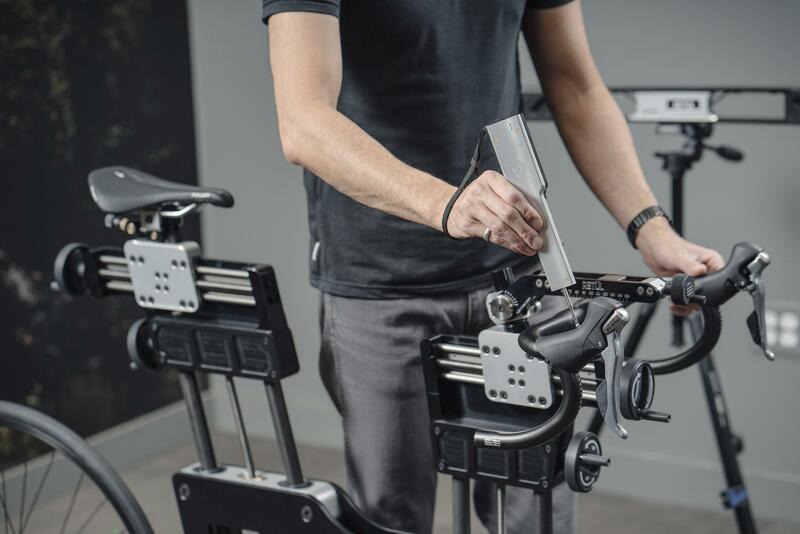 Using the Zin file, your final bike fit position can electronically overlaid onto any Specialized frame, allowing the correct size to be selected. With access to hundreds of components, your dream bike can then be fully built within the program, specifying your required stem length, bar reach and seat post lay back to name but a few. Your bike can then be priced, ordered and built to your exact specification. Upon arrival, it will be adjusted to your bike fitting position, checked and be available for collection ready to ride. You will receive a scheduled follow-up to review your adaptation to the new position, answer your questions, and provide guidance on how to get the most out of your ride. You are purchasing a quality rider focused experience, with time and attention to detail being a top priority. As a result the bike fitting session typically lasts from 2-4 hrs and you should allow sufficient time in your schedule. 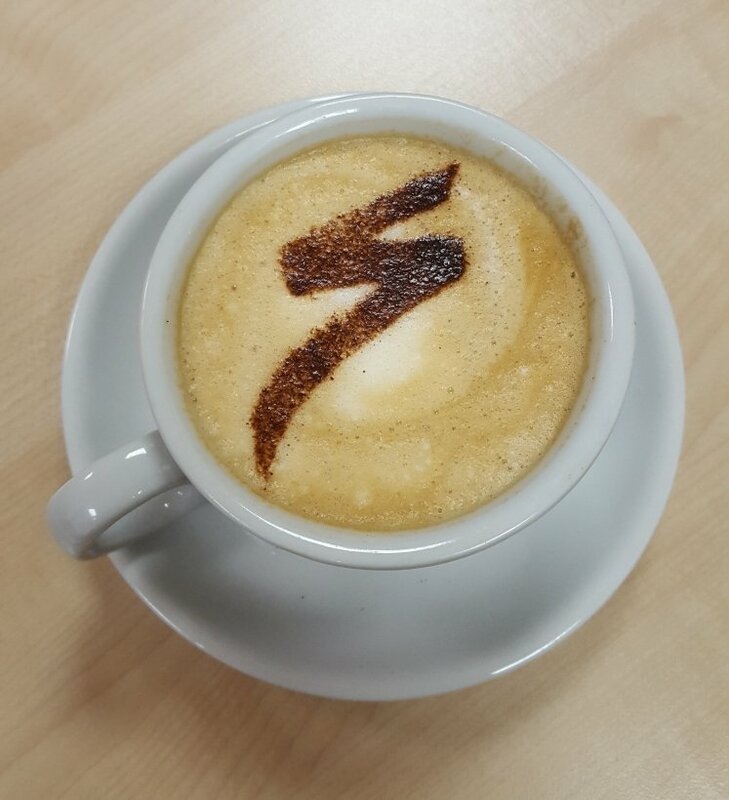 Please note that all bike fitting sessions are by appointment only with bookings made by contacting the studio. *All components are sold additionally to the fitting.